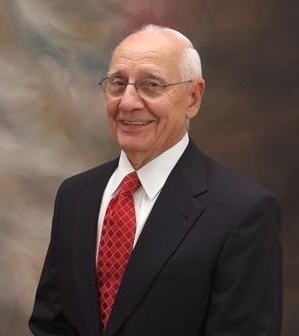 Mr. Ceto founded Ceto and Associates after his retirement from KPMG where he served as the firm’s National Partner in Charge of their Revenue Enhancement Consulting Services. Ceto and Associates, an Atlanta based bank consulting firm, specializes in providing revenue enhancement, operational efficiency and other profit improvement services to banks, savings banks and credit unions of all sizes throughout the United States. His professional career has included a wide variety of management consulting engagements for over 1,000 bank clients in the U.S., Europe, Canada, Australia, and other countries. His work has encompassed virtually every phase of banking activity. Developed and implemented revenue enhancement programs in over 150 of the nation’s largest commercial banks. Developed a Deposit Reclassification methodology, approved by the Federal Reserve System, which increased earning assets, by almost $20 billion, for over 2,000 of the nation’s banks. Served as a consultant to the Federal Reserve System at various times on check collection issues and regulations, including Regulations D and CC as well as bank examination procedures and frequency. Engagement partner on a “competitive impact engagement” for the President’s National Commission on Electronic Funds Transfer System (NCEFT). This two (2) year study, which was funded by the “Federal Office of Technology Assessment,” categorized and analyzed electronic funds transfer trends and statistics in all 50 states and all major Federal agencies, including the nation’s social security payment system. Served as a member of the President’s “Commission on Banking Productivity.” This commission consisted of CEOs from 25 large banks and 6 management consulting firms selected by the U.S. Secretary of the Treasury. This commission made numerous recommendations to improve the overall efficiency of the nation’s banking system and its regulatory and legislative environment. Assisted in the formation and operation of the Central Bank of Spain. This eighteen (18) month study, among other things, encompassed the design and implementation of all internal operating systems; development of a human resources manning chart and organizational framework; and assistance to the Spanish Government and the Central Bank in developing a five year socioeconomic plan. Re-organized the internal audit departments of three (3) major, state-wide multi-bank holding companies to increase audit effectiveness and coverage. Special emphasis was placed on the loan review and data processing functions. Performed merger and acquisition studies for a large number of individual banks and bank holding companies. In addition to the management of Ceto and Associates, Mr. Ceto served for three years as a Director on the Board of a community bank in Atlanta, GA. Mr. Ceto was also a member of the Audit and ALCO Committees. Mr. Ceto is a frequent speaker on a wide variety of banking subjects and has authored numerous articles for banking and trade publications.